Modern industry requires intelligent development of the product throughout its entire life cycle-from concept to recycling. These intelligent products (Smart Products) have information about their production processes, quality management, future application and recycling. They support active manufacturing processes (when will be produced, with what parameters, with what materials should be produced, when, what kind of modifications, etc.). Under these conditions the management of quality have to meet new requirements imposed by the fourth industrial revolution is discussed in this article. The subject of the research in this scientific paper is a description of the home pages in websites, with special emphasis on definition and classification of elements, which are necessary for the proper functioning of a home page, from the aspect of functionality and creativity. The important part of my paper is an analysis of technical methods of their displaying on various users’ computers. Here the comparative analysis of similarities and differences between a home page and other pages of the same website is made. A special overview is made for the correlation between home pages and all the other pages on the website from a point of view of visual harmony and functionality of those websites. Additionally, here I give overall directions for using home pages when designing websites, and also a description of some opinions and advice on the same topic. After that, I analyze six problems which arise from displaying home pages on the user’s computer and topics connected with that. I will come across a few solutions for all of them, as well as recommendations for when to choose which solution. The special design process of an efficient residential house energy saving energy system is presented in this work. The main objectives are to achieve major energy cost reductions, providing safe house and reliable service. Thus, the essentials tool of the system will focus on providing useful information for the user by continuous monitoring and recording of the consumption behaviour of the operating appliances, also will raise early alarms in case of fault detection by high temperature monitoring. The outcomes of monitoring and analyzing the real power demand of group of typical house appliances is then used as a case-study for proposing further tools such as consumption forecast, tariff comparing and scheduling tools. Rule based system was designed for efficient and reliable operation control of house energy system with distributed energy source and storage units. Lab-View software package is used for implementation of most of the proposed algorithms which have been tested by variation of possible operating conditions. The results have shown that 22.75% energy savings can be achieved by applying the proposed tools and control strategies on typical home appliances. Modification of the system is recommended to include wide range of consumer’s types such as industrial and commercial sectors and to include more than one type of distributed energy sources. Perspective development tendencies of electron-beam technology in precise instruments industry were introduced and after them the following results were obtained: 1. Capacity expansion of electron-beam technology in the optical-electronic instruments industry for obtaining high-quality curved surfaces and the creation of functional microprofiles on them of different geometric forms. A new method of more accurate and reliable processing of curved surfaces of optical elements (concave, buckled, spherical, cylindrical, etc.) was developed for this purpose. 2. Electron-beam surfaces processing of elements from piezoelectric ceramics. Modern production technologies of piezoelectric products are based on the known methods of mechanical, chemical and chemical-mechanical processing of the surfaces of piezoelectric materials, in particular ceramics. The main drawback of these methods is the impossibility of getting high electromechanical and strength characteristics of products from piezoelectric ceramics, which requires additional processing of these products. Electronradiation technology was used to exclude the mentioned negative defects on the surface of elements from piezoelectric ceramics. 3. Electronbeam processing of nanosized oxide coatings on optical elements. Nanosized oxide coating, which represent the composition of oxides SnO2, Bi2O3, TiO2, ZnO, SiO2, Al2O3 , are applied for improvement of wear resistance, reduction of radiation and convective components of thermal losses on optical elements of precision instruments industry. Thus, the resulting coatings are heterogeneous, contain hidden microdefects (cracks, chips, etc. ), the surface contains significant microroughnesses and low microhardness, etc. All this reduces the performance characteristics of these coatings. Their electron beam processing was used for elimination of the mentioned shortcomings and improvement of the quality of these coatings. Nowadays, the dynamics of technologies development, as well as continuously growing customers‟ requirements, put industrial enterprises from around the world before the necessity of rethinking old strategies and building new dynamic business models, in order to successfully continue operating in today‟s conditions of a highly competent market environment. The digitalization takes a key position in this new scenario, where modern industrial enterprises should fit. Digital technologies, as well as the opportunities they create, are the main moving power, which enterprises should stake upon, to successfully raise their own efficiency. One of the biggest threats caused by the digital transformation of operations is for the people to be replaced by the machines. The present paper offers a conceptual framework of a methodology for investigating the role of human factor in a digital manufacturing environment. The research in the field of logistic processes in the printing house will be focused on defined the improvement in the context of the „Industry 4.0” concept. In the industry, the growing complexity of production makes logistic processes more and more important. In every printing house industry certain processes which are implemented in the sphere of production can be systematized. The study will focus on the importance and goals of logistics processes; distribution; logistic chain; analysis of the efficiency of processes; selection of suppliers and organization of deliveries, creating networks of cooperators in the enterprise; computer support of processes at production; designing logistic systems. The study will present logistic processes in the printing house based on the „Industry 4.0” concept. “Industry 4.0” is often identified in the first place with the digital transformation of production systems – their digitalization. The production sphere is also moving towards increasing digitalization, first and foremost by using wider applications: data management (Big Data), and above all effective acquisition (via various types of sensors) and analysis of data; automation, e.g. the combination of traditional manufacturing methods with artificial intelligence, allowing to reduce errors and costs; communication using broadband links to connect the whole value chain; digital communication with clients. 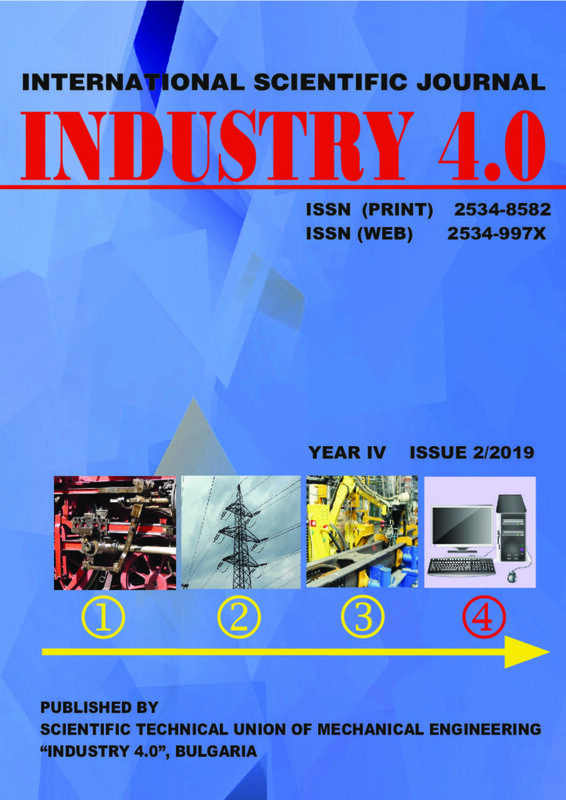 The conclusion of the research will be providing improvements of processes in chosen printing industry analyzing the solutions of the “Industry 4.0” concept. In May 2018, we held the 1st International Workshop. In this research, we reported the case of collaboration between high schools and universities on holding workshops together, and the effects of learning through participation from high school age through to university students, and lecturers. In this paper are presented some conclusions on the selection of the LMS to be used. The results of this study give readers information to make their own decisions when choosing an LMS platform based on the needs of their institution. The process of LMS selection is a multi-criteria decision-making problem and an Analytical Hierarchy Process (AHP) was used to assist in building the model and draw decisions. The paper presents an environment ”Network technologies for e-learning”(NTEL) using the offered Model for describing, structuring, and organizing the ontological representation of learning objects through providing a semantic infrastructure. Strategies and methodologies in ontology development and implementation are also discussed. This article sets out the main essential features of the digital generation that influence the motivation, methods and means for education, the possibilities for education are explored and new forms and means of education are proposed through the use of innovative educational technologies and the transformation of the education system for the purpose of increasing the educational-disciplinary quality. The subject of the considerations contained in the article is the issue of cyber-identity as a subject of protection in the digital area. The considerations concern both the consequences of EU regulations in the field of personal data protection in the context of information placed by the users themselves, as well as the algorithms that are used for analysis.